The Orsis LDC has been designed to communicate with the Orsis range of multi-utility loggers and meters via RF (radio frequency) and either a GPRS or ethernet secure VPN tunnel to gather and transmit data to Orsis Energize. 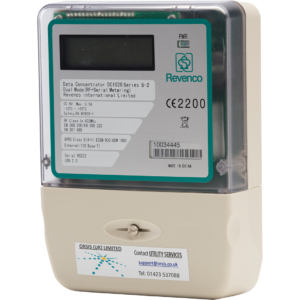 The communications path is two-way, enabling remote configuration of the meters and loggers in terms of data latency and frequency. The Orsis LDC has remote upgrade capability and enables selective GPRS network connectivity. The Orsis LDC can support up to 100 wireless connections and 9 directly connected devices. This can considerably cut both capex and opex costs by reducing the number of communication devices required.